We all know the first thought after she’s said yes to being your bridesmaid. What is she going to make me wear for the big day?! At first they’ll be the panic, then the nerves and then the acceptance that you’ll put her in a puffy shiny peach number with a matching hat. Give her the shock of her life and surprise her with beautiful bridesmaids dresses that she’ll be proud to wear! She’ll walk down the aisle with a extra spring in her step and a smile a mile wide! 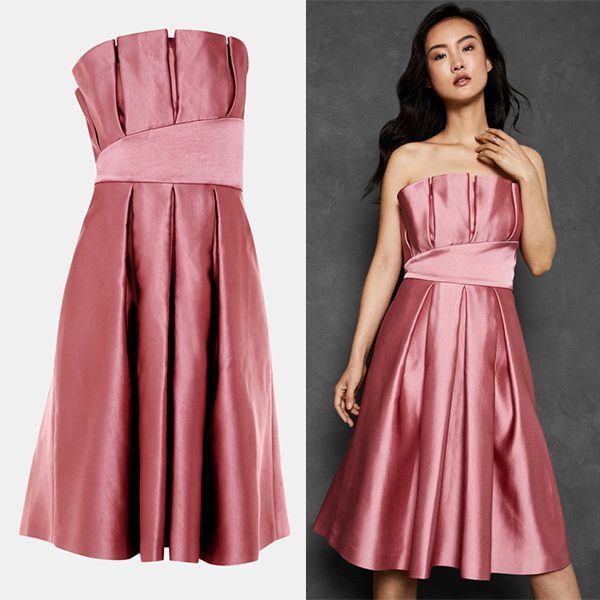 Shop our top five bridesmaid dresses currently available online. We promise you’ll love them all! Needle & Thread’s ‘Zelda’ dress is inspired by ’20s flappers styles and features cream embroidered flowers. 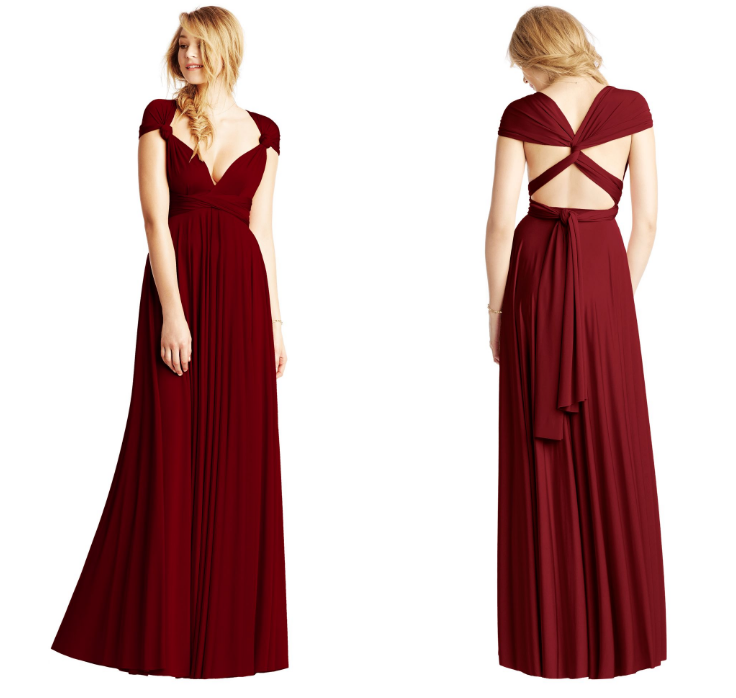 And detailed with a velvet bow set at the center of the cold-shoulder neckline. Click here to shop the ‘Zelda’ dress. Soft and romantic, the Maddie Maxi Dress is a gorgeous choice for a special occasion. Featuring a lace bardot top embellished with sequins and a sweeping maxi skirt. This gorgeous multiway floor length bridesmaid dress can be twisted and tied in countless different ways! 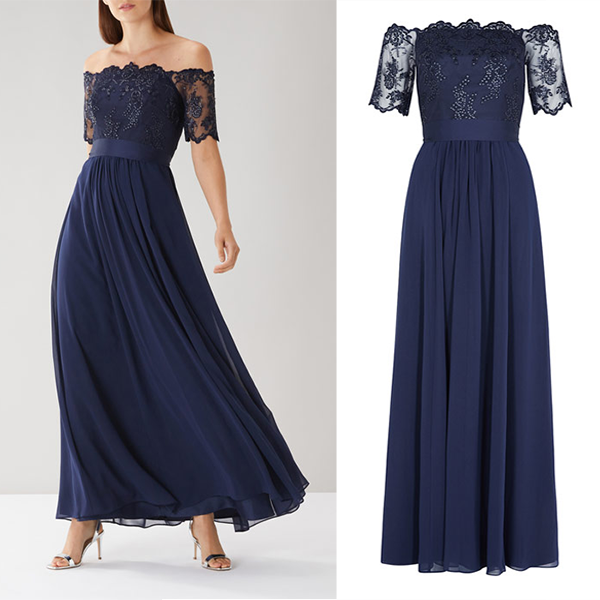 Whether styled with one shoulder or with a the Grecian twist, this stunning maxi dress is the perfect solution for all body types. Prepare to turn heads in the oh-so-elegant Pippaa dress. This strapless bodice features large pretty pleats. 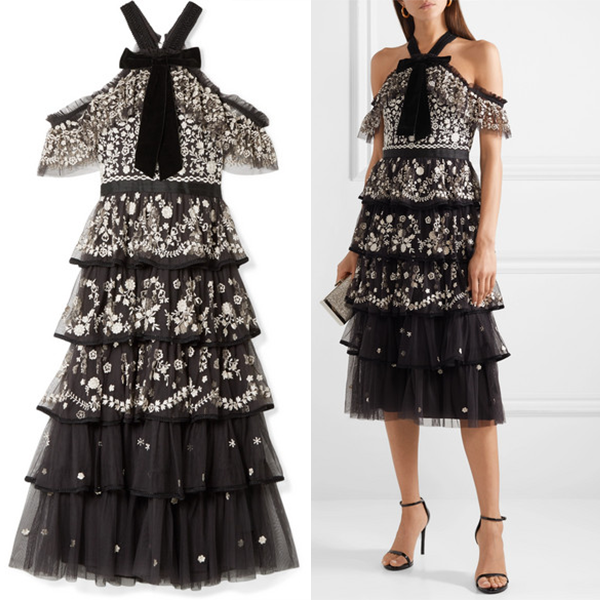 Giving way to the glamorous full skirt for an opulent effect. Simply add ladylike accessories and heels for a gorgeous bridesmaid look! This beautiful dress is also available in navy. Click here to shop the Pippaa dress. Floaty? Check. Pleats? Check. Long sleeves and lace? Check and check! This stunning plum dress is ticking all of our boxes! This gorgeous dress is perfect for any Autumnal or Winter weddings, style it with simple jewellery and natural soft hair for a beautiful bridesmaid look! Click here to shop The ‘ASOS Design’ dress. Looking for stunning Wedding Invitations? Discover our beautiful collection here.